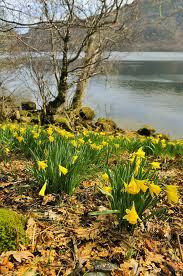 There are a number of locations in the UK where our “native” daffodil, narcissus pseudonarcissus can be seen. These small, dainty flowers with characteristic pale yellow petals are most closely associated with Ullswater and sites in the Lake district, Cumbria made famous by William Wordsworth. There are other significant sites in the villages of Dymock, Kempley and Oxenhall Gloucestershire, Farndale in Yorkshire, a number of woodland sites managed by UK Wildlife Trusts and smaller local populations in village copses and woodlands. Further information can be found by visiting the following links. Threave Castle (National Trust) Dumfries is well known for its daffodils. 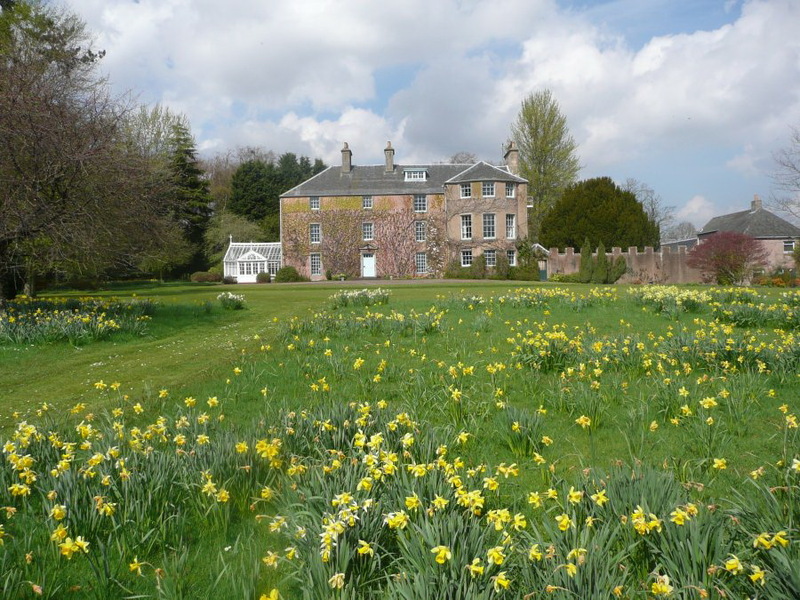 The Backhouse Rossie Estate in Fife holds the National Collection of Narcissus Backhouse cultivars plus Backhouse Heritage and Education Centre with information about their ancestors daffodil hybrids and many other daffodil plantings in the gardens. 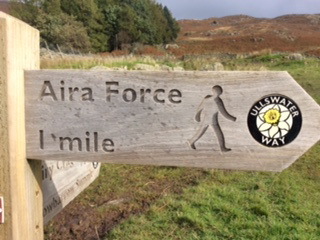 The Ullswater way is a 20-mile walking route around Ullswater. If you can’t manage 20 miles in one walk then an open top bus or steamer can help you break the walk into shorter sections. Click the link for the walk map. A history of the British Narcissus pseudonarcissus. 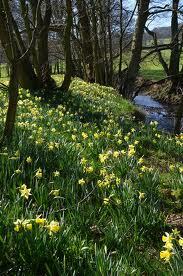 The delicate wild daffodil was once a common sight throughout Gloucestershire and is our county flower. Today the wild daffodil is mainly found in a part of the county called the ‘golden triangle’ due to its fields and verges of native wild daffodils. The Golden Triangle is near Newent and draws hundreds of visitors every year from all over the country. Pictures of the wonderful display of daffodils at Farndale. This article entitled Farndale Daffodil Walk was first published March 23rd 2012. The Walk At Farndale is an easy stroll through some of the finest scenery The North Yorkshire Moors National Park has to offer. 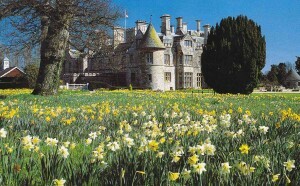 Useful information on locations in the U.K. where daffodil plantings can be seen and photographed. In recent years thousand of bulbs have been planted in our cities, towns and villages often as a result of community projects. No longer confined to formal park displays banks of daffodils can often be seen in spring along major routes and ring roads, gateways to towns and on village greens. Supporters of Marie Curie cancer care have planted daffodils all over the country to celebrate loved ones in gloriously cheerful “fields of hope”. 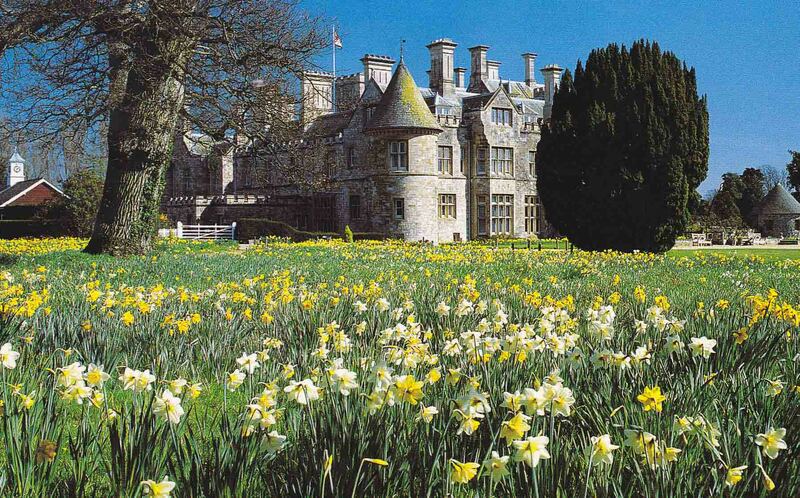 Many of our historic houses have established daffodil plantings and some National Trust gardens will have “daffodil weekends” The Royal Horticultural Society gardens have well established naturalised plantings and changing displays in beds and borders.